JustRite Friday Challenge 051 Winners & JR Sponsoring Shabby Tea Room Challenge! Many thanks to everyone who played in our JustRite Friday Challenge 051: An Act of Kindness – there were so many fabulous entries and this blog post is going to be filled with some gorgeous artwork! Before we announce the winners of our challenge, we wanted to give shout outs to some designers who played along in our challenge the last two weeks . 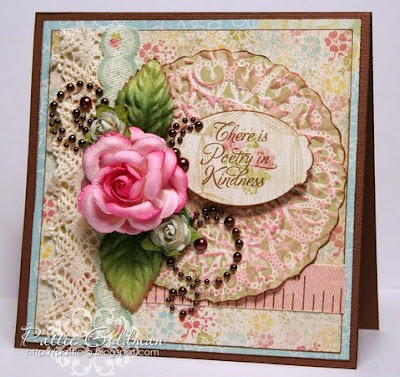 . .
Our guest designer here on the JustRite blog this week, Mona Pendleton, also played along with our challenge and created this decadent work of art, using our Seeds of Kindness JustRite Original set — just perfect for this challenge! You can find all the design details of Mona's card HERE. This week, JustRite is sponsoring The Shabby Tea Room challenge #55 prize and you still have until this Sunday, April 3rd to play along for your chance to win a JustRite prize package! You can find all the details about their challenge HERE. And this one from Pattie also uses our Kindness (beautiful green label and sentiment) and Friendship Blooms (corner embellishments) cling sets . . just gorgeous, Pattie! Danielle Greenwood used our Friendship Blooms cling set to make her stunning background paper, along with our Kindness and Fancy Labels cling stamp sets — WOW! Thanks so much for your inspiring designs, ladies! . . . Now on to our winners! For a total combined retail value of almost $82.00, is . . .
Tanya Phillips, who made this fabulous round easel card for her very kind neighbor who bestows wonderful baked goodness to her family! Tanya used the sweet fairy from our In The Moonlight cling set (which happens to currently be on our $10 Super Sale!). Tanya glittered the fairy's vellum wings, for an extra special touch and the "Heartfelt Thanks" sentiment from the set is just perfect! Tanya positioned the fairy to sit on this wonderful friendship circular border sentiment from our My Garden 3-1/4" JustRite Original set . 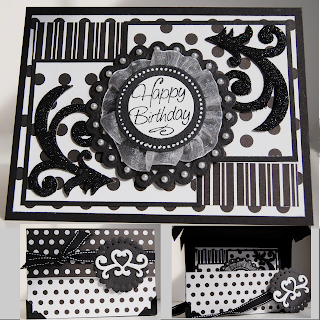 . . fabulous combination of stamp sets and gorgeous card, Tanya! Sheri stamped our Backyard Birds in green on the pretty Spellbinders die cut Labels Thirteen backdrop behind our Labels Twenty die cut Kindness cling label stamp and wonderful "You mean the world to me" sentiment. Congratulations to all of our winners! Please email me with your mailing address and we'll get your prizes sent out to you! Please check back tomorrow for another JustRite Friday Challenge, with sample inspiration from some of the Copic design and instructor team members! Day 1 with Guest Designer, Mona Pendleton! We have a wonderful surprise for you this week — Mona Pendleton will be our guest designer here on the JustRite Inspiration blog! You can read more about Mona in our original interview with her here, and find some more projects she designed for us back in October. "I made this card featuring a gorgeous label image from the Vintage Oval Labels cling set." "After stamping the label image from Vintage Oval Labels Set – cling with Memento Bamboo Leaves ink, I used a Spellbinders Labels Six die template and a S4-138 Petite Ovals Large die template to cut/emboss the image. I inked the edges using Memento Desert Sand ink. I stamped the Best Friends Forever image using Memento Tuxedo Black ink then stamped a little motif image using Soft Sky ink above and below the sentiment. 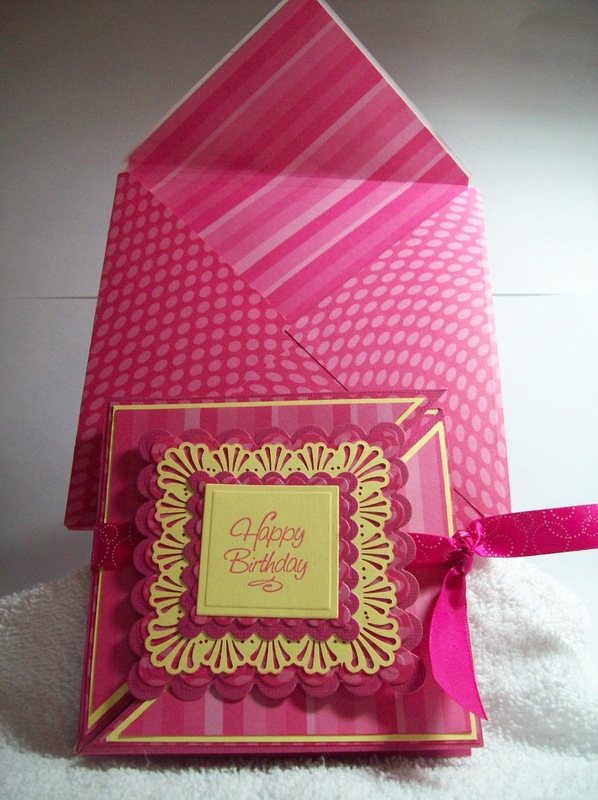 Adhered to the card then positioned and adhered label in place using 3D foam adhesive squares." Absolutely gorgeous, Mona — a pure breath of Spring! We hope you'll check back for the next two days of Mona's guest appearance here, sharing her wonderfully vintage chic style! "I created a 5.5” square card base out of Bazzill Sea Salt card stock. Cut a 5.25” square Prima patterned paper and a 2” x 5.5” panel from a lighter patterned Prima paper and cut a border with EK Success border punch to layer it with and adhered it to card front. I tied a green ribbon around it and added a button with twine." "I stamped the little corner and border stamps from the Vintage Oval Labels set with black Memento ink. Using the largest label stamp from the Vintage Oval Labels cling set, I stamped with black Memento ink and cut it out with the coordinating Spellbinders Labels Thirteen." "I colored in my image with Copic markers and stamped my sentiment in the middle using Palette Boudoir Blush ink pad. Finally, using pop dots I adhered the label to my card." What an amazing and beautiful card, Eva! Thanks so much for sharing your fabulous talents with us this week, we've truly enjoyed your wonderful inspiration! 11 – Barb Schram's blog – 4 JustRite sets of your choice. 22 – Kim Teasdale's blog – Stampers Dream Blog Candy Package. 9 – Kellie Fortin's blog - $50.00 JustRite Gift Certificate. Congratulations to all the winners! You should have been contacted by the blog host you won your prize(s) from, but if you did not receive that communication, please email me with your stamp set choices and mailing addresses and we'll get your prizes distributed to you! 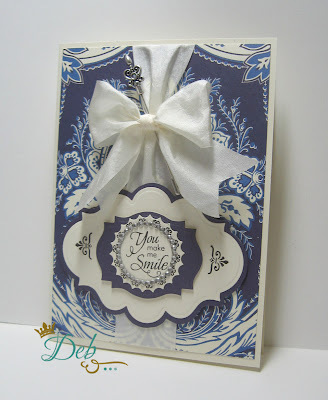 Now on to today's project from guest designer, Eva Dobilas, with this gorgeous card! 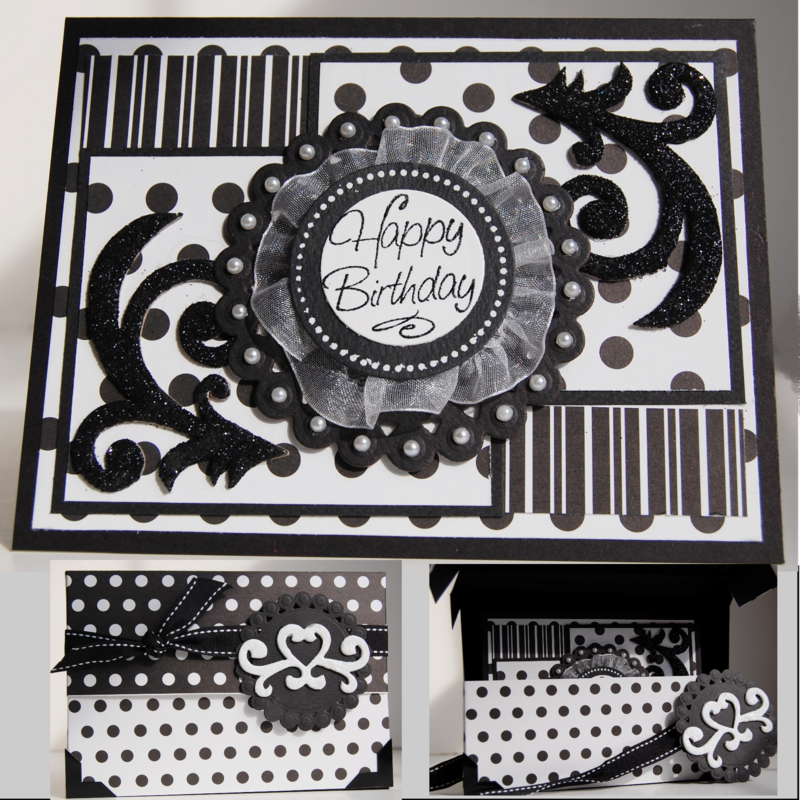 "Using my Spellbinders Labels Seventeen, I cut my card base out of Crate Paper, which I layered on black card stock." "I stamped the largest frame stamp from the Kindness cling set with my black Memento ink on cream card stock and cut it out with the coordinating Spellbinders Labels Twenty." 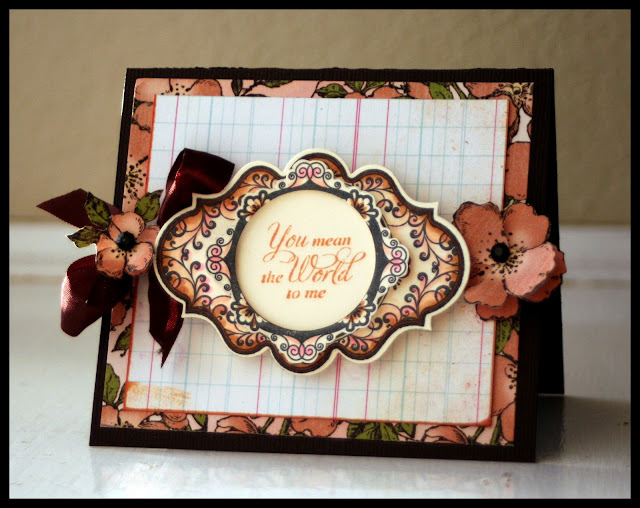 "I stamped my sentiment on cream card stock using Palette L’Amour Red and cut it out with my Spellbinders Oval die cut. I cut a strip of yellow Crate Paper patterned paper and punched two borders out of red card stock using my EK Success border punch and adhered them to card front. Using pop dots, I adhered my framed sentiment." "I stamped one of the medallion motifs from the Friendship Blooms set and added an American Crafts crystal brad in the middle and adhered it with pop dot to my frame." 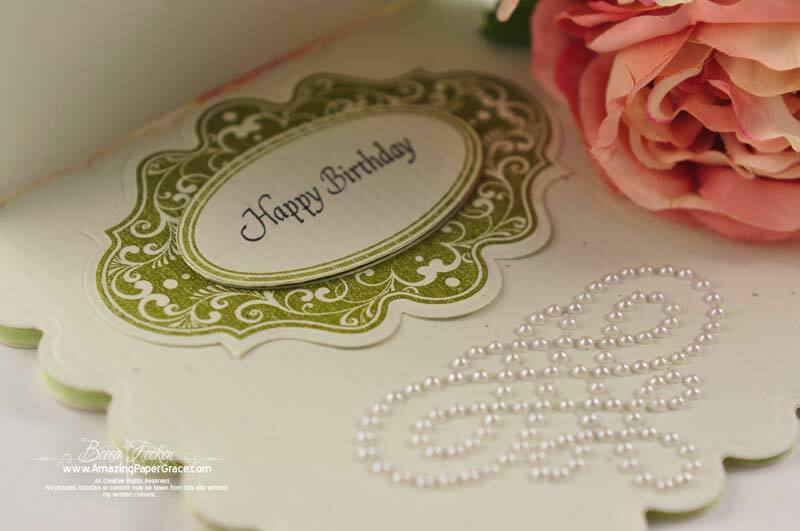 What a fabulous card, Eva — gorgeous and amazing details! Please check back tomorrow for another project from Eva! Day 1 With Guest Designer, Eva Dobilas! Please join us in welcoming back guest designer, Eva Dobilas, to the JustRite Inspiration blog this week! "First of all, I am thrilled to return as a guest designer to JustRite Stampers! I love stamping cards, layouts and 3D projects and it’s always such a pleasure to ink up JustRite Stamps! I lead a busy life, but I always find time to stamp something pretty." "I first cut a pillow box with my Silhouette machine out of cream card stock. I cut a panel from the flowery Crate Paper and two strips from the pink paper and I used my Spellbinders Fleur de Lis Doily Accents border die to cut my borders. I distressed my box using Ranger Vintage Photo Distress ink and adhered my panel and two borders to it." "I stamped my label stamp from the Fancy Labels cling set and cut it out with the coordinating Spellbinders Labels Eighteen." "I stamped my sentiment on a separate cream cardstock and cut it out with Spellbinders Labels Ten and layered it on top of my frame stamp. 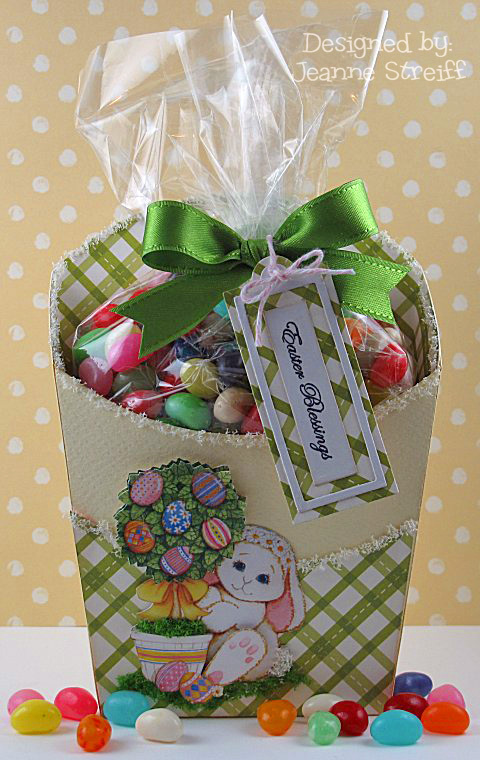 Finally, I added ribbon and flower to embellish it and adhered it to the box." What a beautiful gift box anyone would love to receive, Eva! Thanks so much for sharing your talents with us . . . we look forward to seeing more projects from you this week! 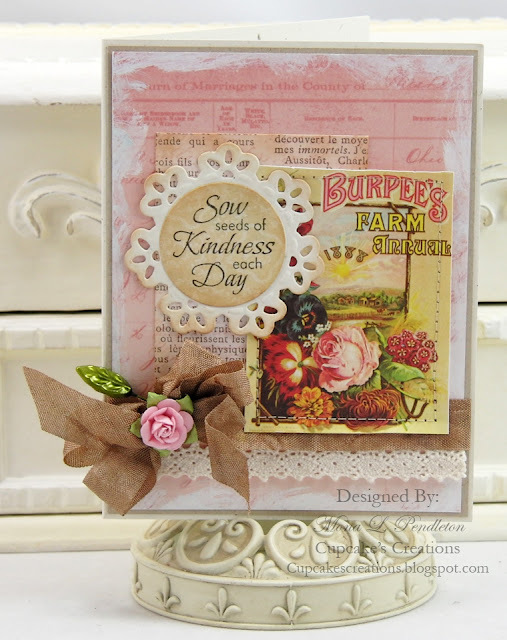 March Release Blog Hop With Stampers Dream! We have a special treat for you today . . . a JustRite March Release Blog Hop with the Stampers Dream Team and JustRite designers, plus a special guest designer, Eva Dobilas, who will be guest blogging this week here on the JustRite blog! – A $50.00 Shopping Spree to the JustRite Webstore. Please visit each of these fabulous designers' blogs to see what they've created for you today with our March Release! Welcome to another JustRite Friday Challenge! Before we get started with today's challenge, we wanted to keep our promise to let you know when the Spellbinders dies that matched our February release arrived in our warehouse. They have, and are now available in our webstore! They include Blossoms Three, Labels Eighteen, and Labels Twenty. On each die description page, you'll find a link to the stamp set(s) the dies coordinate with! This challenge #051 is to create a Random Act of Kindness card or gift to tell someone how much you appreciate them OR a thank you card for someone that may have bestowed a random act of kindness to YOU! For a total combined retail value of almost $82.00! Using Spellbinders largest Labels Thirteen die, I cut and embossed the label, then sponged the edges with creamy brown ink. I attached the label to some ribbon wrapped around a nicely shaped bottle I recycled and wah-lah . . . I have an instant pretty vase of flowers! You will need to use JustRite stamps on your project and upload it to an online blog, gallery or photo hosting website. You may make and enter as many different projects as you'd like for our challenges. You will then need to link to your project back here on our blog post, using the linking system on this challenge post. Please make certain your link is directly to your project, not just your general blog home page or overall photo gallery, so we can find it easily. (Links that are spam, commercial in content, or are not linked properly/directly to your project will be deleted). If you choose to upload your project to www.Splitcoaststampers.com OR our Flickr gallery, please use the weekly challenge code (example: JRC_051 <== that's an underscore between the letters and numbers) in the keyword section of the Splitcoast project upload page or the tag section of the Flickr gallery. You will have until Thursday, March 31 at 8:00am Central to make your project and enter a link to it below. Winners will be chosen and announced later that day (Thursday, March 31) here on the JustRite Inspiration Blog. Please allow up to 4 weeks for delivery of your prizes. By entering our challenges, you grant JustRite Stampers permission to use your artwork here on our blog as well as our company website gallery (with designer credit given and your blog post or gallery linked) or any possible advertising. JustRite Friday Challenge #050 Winners! Time to announce our JustRite Friday Challenge #050 winners! Many thanks to everyone who entered this week's contest — your entries were amazing! And also many thanks once again to our prize sponsor, Scor-Pal! 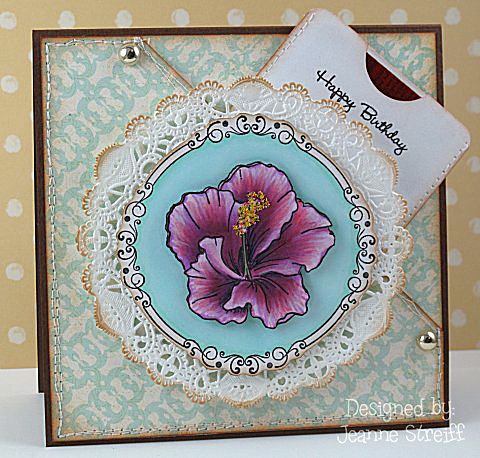 Jeanne used the hibiscus flower from our 3-1/4" Mother Nature's Gifts set and the Happy Birthday sentiment from our Happy Everything Mini Tag Kit. Absolutely gorgeous coloring and wonderful birthday gift idea, Jeanne! 2 – Marge R made this fabulous Spring bird ensemble — (left in the photo below) a gift box made by scoring Spellbinders Grand Labels Four die cut, accented with the "Rebirth of Spring" sentiment from our Nature's Nested Sentiments set. Marge's card (right) also features the Grand Labels Four die cut and another Nature's Nested Sentiment, "Autumn arrives in early morning, but Spring at the close of a winter day". Marge also used the Labels Four die to cut and line the flap on her matching envelope! So pretty and fresh as Spring, Marge! 1 – Liz Weber made this wonderful birthday ensemble, using our Baroque Nested Frames and All Occasion Nested Sentiments: card & out-of-the-box coffee cup gift packaging! Liz found the coffee cup package directions on the Scor-Pal site — please click over to Liz's blog for more details. Fabulous ensemble, Liz! 2 – Mary Jo submitted this pretty Birdhouse envelope gift card holder — so fresh and Springy! Colleen made her box by scoring an 8.50" x 11" piece of paper! Congratulations, ladies! Please email me with your mailing address and we'll have your prizes shipped out to you! We hope you'll join us tomorrow for another JustRite Friday Challenge!